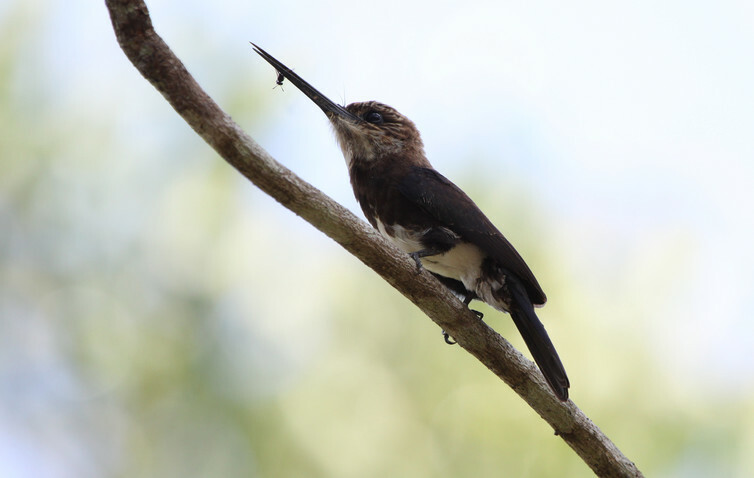 In a new paper published in Proceedings of the Royal Society B, Biological Sciences, my colleagues and I explored the link between deforestation in the Amazon and local bird diversity. Our bird data was collected in 330 different sites in the Brazilian state of Pará, including arable and pastoral farmland and both primary and secondary forests. Primary forests are the original native vegetation, now increasingly degraded by logging and wild fires. Secondary forests are those which grow back in areas, often farmland, which have been abandoned by people. Previous work on this database of bird records showed that as land is used more intensively for agriculture fewer bird species can survive. However, the wider impacts of this loss of diversity on the ecosystem had not been explored. In this new study we focused on seed dispersal and insect predation, two ecosystem processes where birds play important roles. Fruit-eating (or frugivorous) birds spread the seeds of forest trees. Insect-eating (insectivorous) birds ensure that any germinating saplings have a fighting chance at survival. The initial data collection involved nine months of gruelling fieldwork surveying the region’s birds. 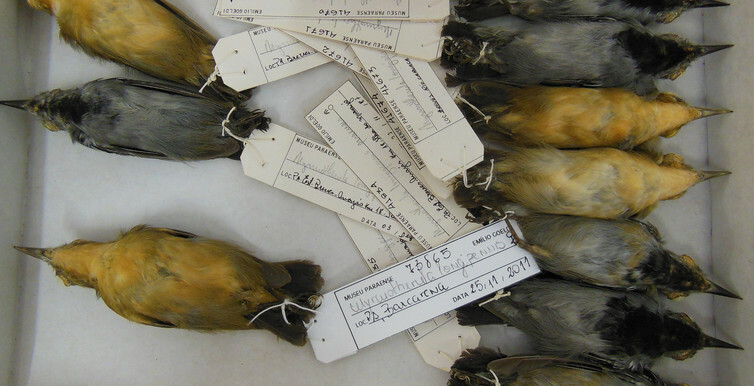 We subsequently measured thousands of different bird species’ beaks, wings and legs in museum collections. Finally, new analytical procedures were used to show how the types of birds present, and with them their how their body designs changed as the landscape evolved. We found that, compared to undisturbed primary forests, things changed relatively little in forests degraded by logging and fire. Based on the body styles of birds present in these areas such as those with wide beaks and long wings most seeds would continue to be spread and most insects eaten. However, switching to farmland dramatically reduced the “services” birds were able to provide. This may seem fairly intuitive so far, given that there is a world of difference between a forest and cattle pasture. However, more significantly we found that the traits were only partially restored in regenerating secondary forests. These areas have been branded as the “forests of the future” but we found them coming up short. They cannot conserve all the biological interactions realised in primary forests, undisturbed or otherwise, which are essential for biodiversity conservation. Once large seed-dispersing birds such as guans or cotingas are lost in an area, trees species with large seeds find it harder to recover. Regeneration becomes unlikely or impossible. Research from Brazil’s coastal Atlantic Forest has shown that the loss of such key species is driving the evolution of palm trees with smaller seeds. Some of these links may have been lost before we even knew them. The disappearance of certain kinds of birds may let plant-eating insects run wild. These insects can be serious agricultural pests. We found that the loss of specialist forest birds isn’t offset by the colonisation of species from open habitats. The sorts of generalist insect-eaters that come to dominate farmland aren’t generally able to capture the well-disguised insects found in adjacent patches of forest. As roads and farms reach further into the Amazon, the forest is fragmenting into ever-smaller patches. Competition can be fierce within these patches, as species which fill similar “ecological niches” (a method for catching certain insects, say) are forced to battle over the same resources. Some species are inevitably lost, and with them the sometimes specific ecological links that they maintain. We had previously found that competition forces the loss of some species in small patches of Amazonian rainforest. 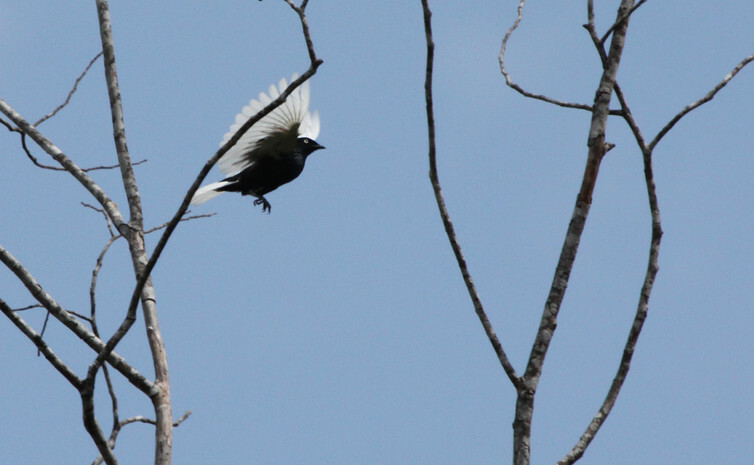 These same forces of competition and habitat change mean fewer bird species in degraded forests and farmland too. Maintaining the incredible diversity of birds is key to the success or failure of ambitious plans for sustainable tropical landscapes.